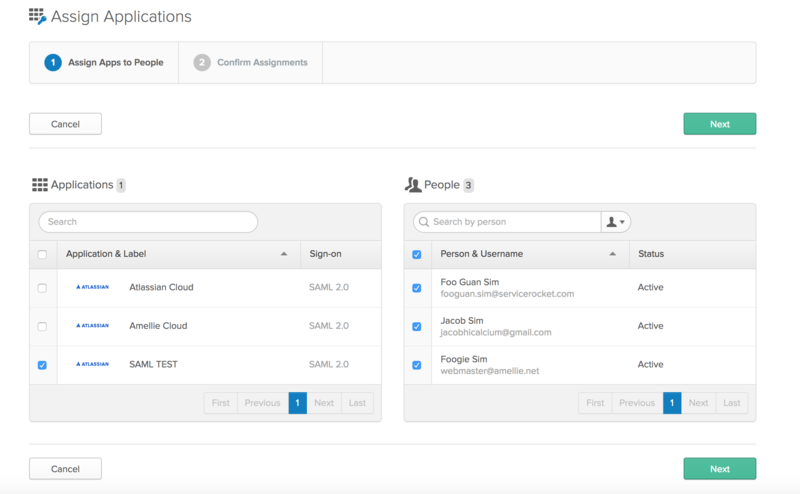 Atlassian Access is a new Identity Management on Cloud released just recently, to replace the Identity Manager. It offers seamless integration to SAML identity providers like Microsoft Azure, OneLogin, Okta, and Centrify. Sign up for a JIRA/Confluence trial via https://www.atlassian.com . Remember to use your own domain email account to sign up for this trial. If all goes well, you should see that your domain is verified! 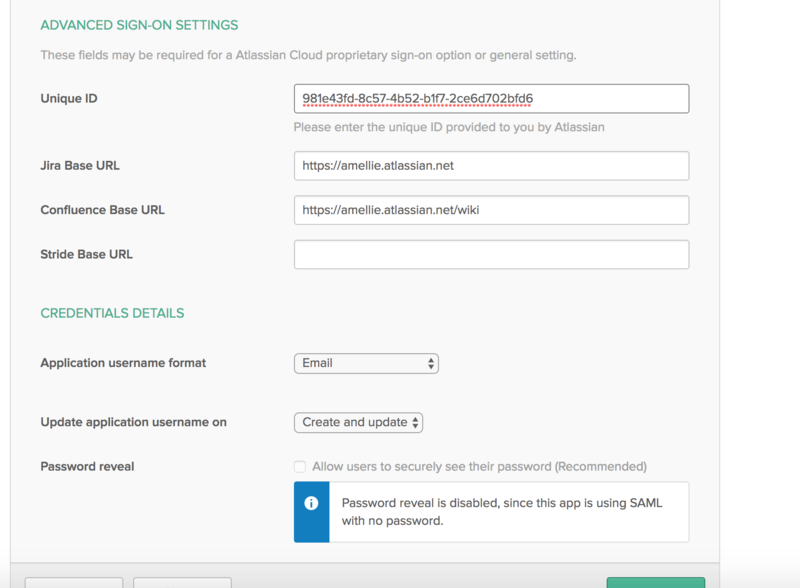 Next, click on SAML Single Sign-on and you should be prompted to sign up for an Atlassian Access account. 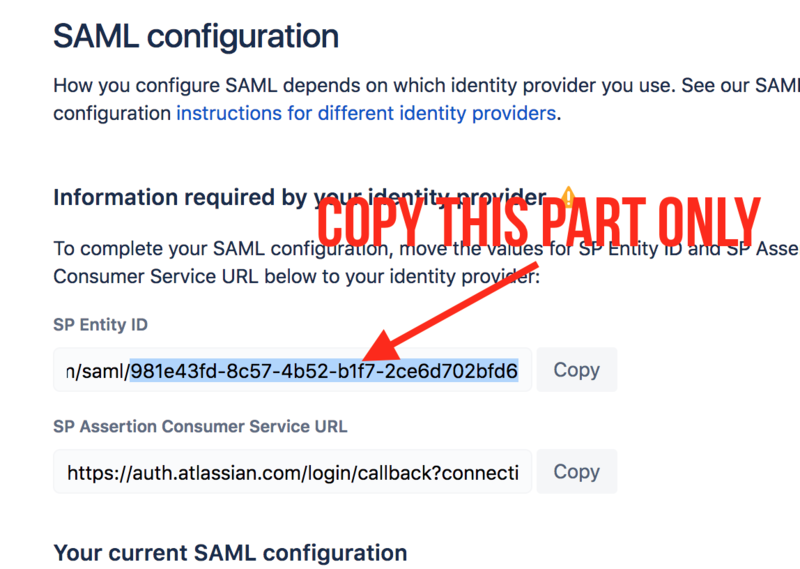 Just follow the instructions and Atlassian Access should now be enabled in your instance. Navigate to okta.com and signup for a trial. You should then land on your user home page. 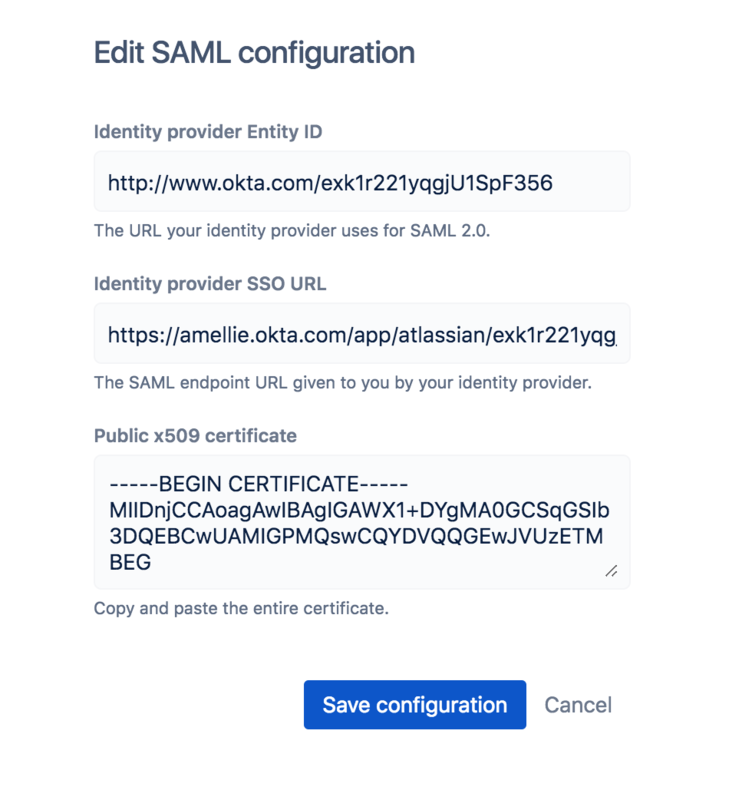 In the Sign On Options, choose SAML 2.0. 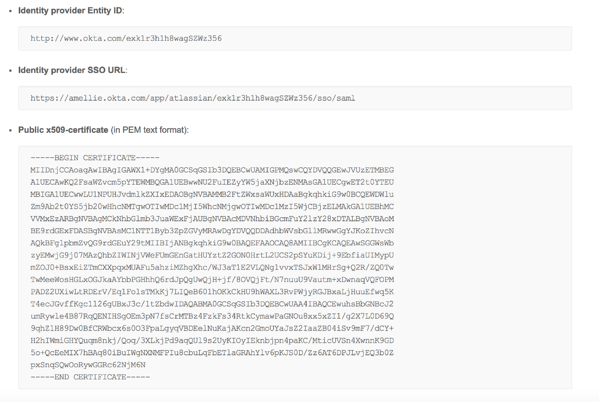 Leave the Default Relay State empty, enter the JIRA and Confluence Base URLs, set the Application Username Format to Email, and click on View Setup Instructions. Hit Done, and your application should be created. Check the application that you just created, and the list of users you wish to be added to the application. You can also filter this by Okta groups. Hit Next, Confirm Assignments (check the usernames are correct). And voila! In order to test this, simply start a new Incognito browser and navigate to JIRA/Confluence Cloud and enter your email address when prompted. 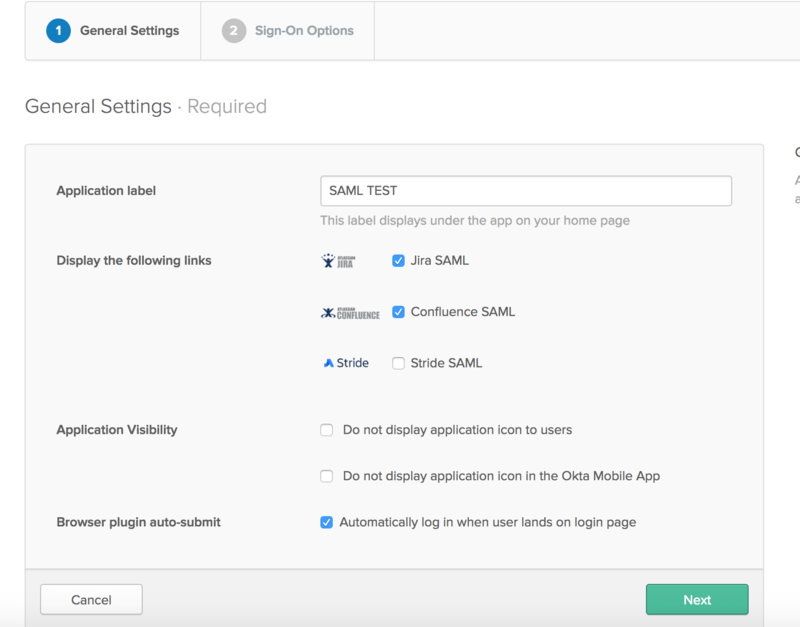 You should be then redirected to login into Okta, which will then log you in automatically to JIRA/Confluence Cloud. Also do watch the recording of how this is done!